Capricorn friendships are usually subtle. 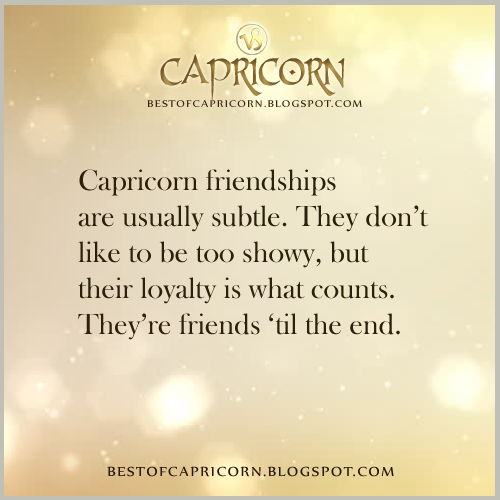 They don't like to be too showy, | Capricorn Life - Capricorns Rock! Capricorn friendships are usually subtle. They don't like to be too showy, but their loyalty is what counts. They're friends 'til the end.